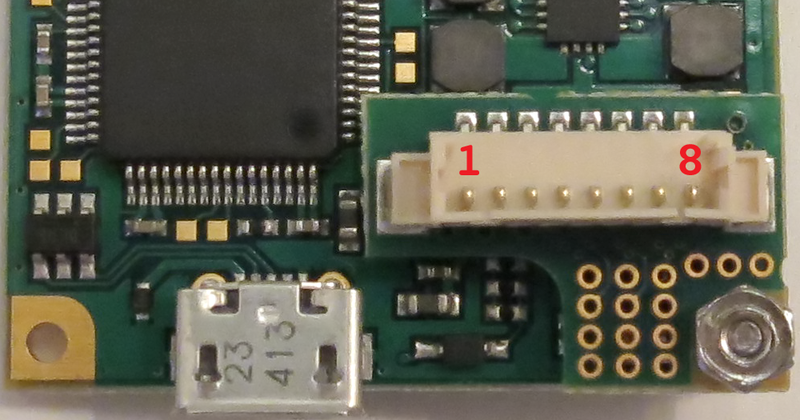 Board level cameras provide a GPIO interface through an 8-pin 1.25mm Molex connector located on the USB board. The mating connector is a Molex 51021-0800 receptacle with Molex 50079-8100 wire crimp terminals. 3.3V HCMOS input with internal 1K ohm pull up resistor. 3.3V HCMOS outputs. Maximum current 5mA. PixeLINK API-Refer to the functions PxLSetFeature, PxLGetFeature and GPIO Mode. Both have an internal 1.5K ohm pull up resistor.